The young yoiker and singer from Svahken Sïjte in Hedmark county has a remarkable voice. Her music carries a strong presence of South Sami heritage and identity, which she performs with confidence. 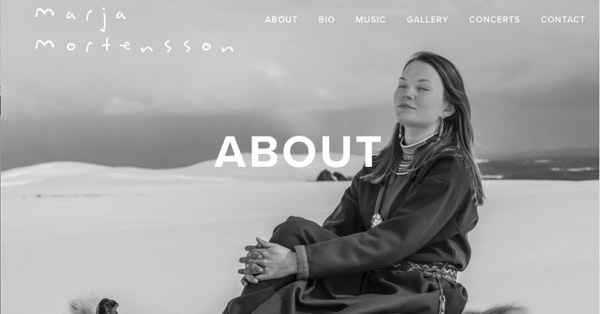 Marja was born into a reindeer herding family and her life and music revolves around the Sami way of living. Her songs describe her close bonds to nature, her fight for continuing the life as a reindeer herder and her wish to protect the South Sami language. 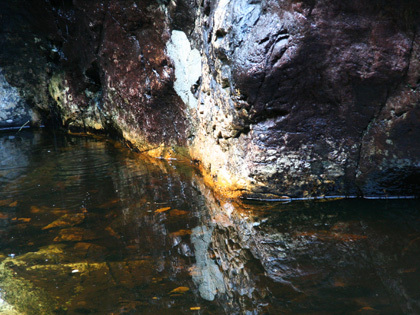 In recent years Marja has worked with Frode Fjellheim, bringing new life to traditional yoiks. 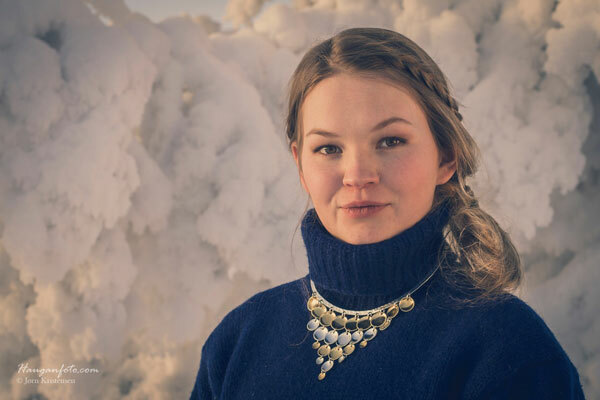 Through their collaboration on the project ”Russuoh Vuölieb” (Wake up the Yoik) and thorugh courses taught by Frode Fjellheim at Nord University, she had the opportunity to relearn the Ume Sami and South Sami traditions. Marja Mortensson received the Hedmark County Cultural Prize in 2013. She was the ”Young Artist of the Year” at the Riddu Riđđu festival in 2014. She then had the opportunity to travel to such diverse places as Taiwan, Siberia and the Democratic Republic of Congo, where she performed concerts with local musicians. At the 2015 Festspillene I Harstad she performed together with Georg Buljo. In 2016 she received a prize in the traditional music category at the Sami Music Awards. She also performed at the 25th anniversary concert for the Royal Highnesses of Norway, King Harald and Queen Sonja. In 2017 she released her debut album, produced by Frode Fjellheim. "Welcome to folkCD.no! We hope you will enjoy the music we have selected for this first volume, from the rich flora of Norwegian and Sami contemporary folk music. Ranging from the purest tradition to modern folk fusion expressions this music is some of the best the Norwegian scene has to offer." Welcome to folkCD.no! We hope you will enjoy the music we have selected for this first volume, from the rich flora of Norwegian and Sami contemporary folk music. Ranging from the purest tradition to modern folk fusion expressions this music is some of the best the Norwegian scene has to offer. Gratulerer! Snart ser vi deg ikke. Du må gjøre en kunstnerisk jobb å markere overgrepet norske regjering gjør nå ved å fremme obligatorisk merking av rein med chips. Trenger nok hjelp av deg og bandet ditt i forbindelse med vår markering at nå må Stortinget ikke vedta en slikt lovforslag. Nå trenger vi all drahjelp og få informasjonen ut i verden hva som holder på å skje med reindriften i Norge. Vi får diskutere nærmere opplegg. Flott. Her var det med mange kjenstfolk. Lykke til! I dag slipper Moenje sitt debutalbum med samme navn. Vi har fått vår første 6er fra Dagsavisen! Marja Mortensson shared a post. Lørdag fikk hun Spellemann-pris, fredag 19. juli kan du oppleve ✨Marja Mortensson✨ i Reknesparken kl. 07:00. DET blir en flott start på dagen! Marja Mortensson updated their cover photo.